The government indicated today that it will not go ahead with plans to completely separate legal regulators from their linked professional bodies, such as the Solicitors Regulation Authority (SRA) and Law Society. 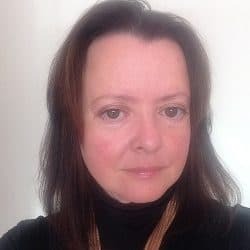 It came in a ‘tailored’ review of the Legal Services Board (LSB) and the Office for Legal Complaints (OLC) – the body that oversees the Legal Ombudsman – carried out by the Ministry of Justice (MoJ). Overall, the review concluded both are “generally operating efficiently and effectively” and that no change should be made to their structures as non-departmental public bodies. Back in December 2015, the Treasury recommended that the MoJ carry out a consultation on regulators’ independence, with a view to complete separation, but this has still not happened. 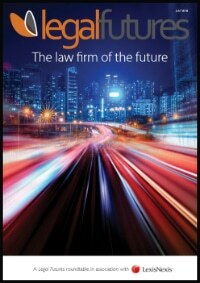 It would require primary legislation to effect such separation, as the Legal Services Act 2007 names, for example, the Law Society as the approved regulator for solicitors; technically, it delegates this responsibility to the SRA, which is operationally independent but remains part of the Law Society group. The review report acknowledged that “at the very least, there is an issue about the perception of interference of particular professional representative bodies in the work of the associated frontline regulators”. It continued: “The review found that more can be done to secure appropriate separation between the professional representative bodies and the frontline regulators. This appears to rule out any legislative change. Earlier this year, the LSB announced a formal investigation into the relationship between the Law Society and the SRA. The review’s overall assessment was that “the LSB is generally effective both in promoting the regulatory objectives and in delivering its functions”. It encouraged the LSB to counter inaccurate perceptions that some of its work, such as its research activity, went beyond its remit. Indeed, the review praised the evidence base that the LSB’s research has developed. 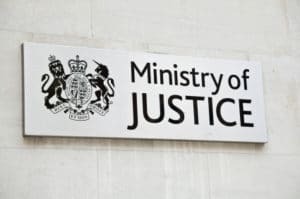 Some respondents to the MoJ’s call for evidence raised concerns that the Legal Services Consumer Panel may not be sufficiently independent of the LSB, but the review found no evidence to back this up. The review recognised the work the LSB has done to achieve cost savings – its 2016/17 budget of £4m is 19% less than its original 2010/11 budget – and encouraged the oversight regulator “to continue to focus on achieving budget and levy reductions where possible”. It questioned whether the LSB needed seven of its 31 full and part-time staff to be at senior civil servant (SCS) level. “This review is neutral as to whether each of the individual SCS roles are still required and whether the salary is appropriate. The review recognised that the OLC has made “significant progress” following its 2015 external, independent review of governance and financial management, in the wake of the questions raised over staff pay and expenses which led to the departure of the former chief legal ombudsman. It noted a “significant strategic shift” from a focus on driving down costs through quick resolutions to balancing this with improving the quality of decision making and the customer experience. It recommended that the OLC assess the viability of becoming an approved ADR body for lawyers, and the role it could play in “providing feedback” to the profession. The OLC to has made “consistent, year on year reductions in the overall cost of the scheme”, from £16.6m in 2012/13 to £11.6m in 2015/16. A tripartite operating protocol has been agreed to deal with this, and the review said should be reviewed after the first six months of implementation and every three years thereafter. Dr Helen Phillips, interim chair of the LSB, said: “I welcome the findings of this review of the efficiency, effectiveness and governance of the LSB. The clear conclusion is that “there is still a clear need’’ for the LSB. “We will study the recommendations of the review closely and will take swift action to implement identified improvements, many of which are already underway. “The review also highlights some fundamental tenets of legal services’ regulation. 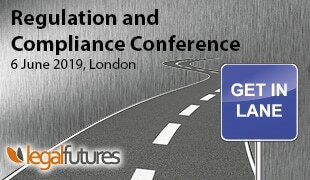 We very much agree that ‘the functions of the LSB need to be delivered independently of government and the professions’ and that ‘the LSB should use all of its powers to provide robust assurance on the separation of the frontline regulators from the representative functions of the approved regulators, including the use of its investigative powers where appropriate’. This work has already commenced. OLC chair Wanda Goldwag said: “We are pleased to see that our efforts to improve and modernise the Legal Ombudsman have been noticed. “We are particularly keen to push forward our communication with the public and regulators, so we look forward to future collaborations with partners, like the MoJ and LSB, to achieve this. Sharing feedback is a key way of improving legal and claims management services for the public. Law Society president Joe Egan said: “The LSB has a pivotal role to play in maintaining stability and certainty in the UK legal services market, holding frontline regulators to account and demanding sound evidence for any proposed regulatory changes. An SRA spokesman said: “We welcome the emphasis in the government’s tailored review report on the need for proper separation of regulation and representation. The LSB has a key role in robustly assuring that separation and recommendation seven makes that clear. The SRA has been campaigning for complete structural separation from the Law Society.